My bunny won't feed her babies so I have to bottle feed them. So far 2 baby bunnies died out of 4. It's day 5. But one of the babies is jerky then it stopped what does that mean? And why are the babies bunnies dying? Sorry about your bunnies! I'm not sure what you mean by 'jerky,' but the word aptly describes what newborns normally do. Here's the scenario: They're tucked in their nest under the fur the mama has pulled to keep them warm. She steps into the nest, and all of a sudden, the hungry little kits turn into little jumping beans, leaping upwards instinctively in order to nurse. The doe simply crouches there over the babies in the nest, and it is up to the babies to find the nozzles. First-time rabbit moms are sometimes airheads. (I of course don't know if your doe is a first-timer.) They also have been known to neglect to nurse if their teats get sore. On the other hand, bottle-feeding the kits can sadly be associated with a 90% mortality rate, due to the delicate digestive mechanisms of rabbits. 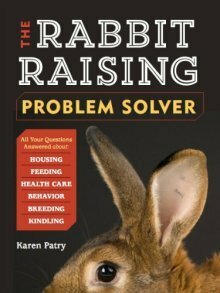 Click on the Feeding Rabbits tab, and then the Feeding Wild Rabbits tab for help with bottle-feeding. If you decide to re-breed the doe and you experience similar problems, try putting the kits to her tummy twice a day, until she'll let them nurse on their own. If then the maternal instincts don't kick in, you may want to get another doe.